RIO DE JANEIRO, BRAZIL – Roche, a large global pharmaceutical company, paid a high premium in the full takeover of American, InterMune. This is the latest move for Roche in an attempt to generate a potential US$1 billion gain in the treatment of respiratory disorders sector, the world’s largest drug market. Roche, a large global pharmaceutical company, has offices all over the world, including in São Paulo, photo by Roche media images. 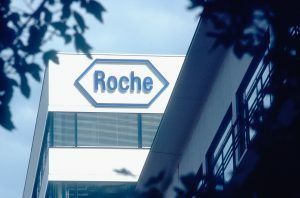 With a wide global presence, including offices in São Paulo, Roche aims to diversify its portfolio, which is currently concentrated in cancer medicines. The takeover, that received the approval from the boards of both companies, is the largest deal for Roche since 2009 when the Swiss company bought the remaining stake of American company Genetech for US$47 billion. For pharmaceutical companies, Brazil remains in the spotlight with big profit potential having the second largest pharmaceutical sector in the emerging world and this new acquisition could open new sources of revenues here in the future. The acquisition will bring Pirfenudane to Roche’s portfolio, a new drug used in the treatment of the progressive and fatal illness, Pulmonary Fibrosis (IPF). This disease attacks the lungs through build up of internal scar tissue and, after diagnosis, leaves the patient with between two to five years of life expectancy. Having already been approved in Europe and Canada, it is under the evaluation of U.S. authorities in America with expectations of approval by the end of November. The drug is not yet sold in Brazil, yet the company expects it will be available in the near-future, after approval of sale in Mexico and Argentina. Tests for the long-term effects of the drug are currently being conducted in test centers in Brazil by comparing the drug against placebo effects. 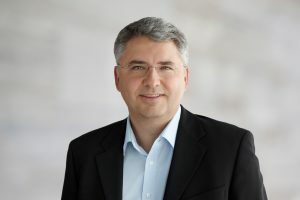 CEO, Severin Schwan, says the acquisition is a good fit for the company both in terms of portfolio and culture, photo by Roche media images. This will be good news for the pharmaceutical industry given the significant revenues that can be gained from the Brazilian middle class who are willing to spend more on health care, according to a study conducted by McKinsey. It will be good news as well for Brazilians who suffer respiratory conditions as this acquisition brings accessibility to the life-saving drug closer to being realized and in turn will help improve and prolong the lives of Brazilian patients with IPF. Analysts estimate that the medicine, sold as pills, can generate sales of US$1.04 billion by 2019 according to Thomson Reuters Pharma. It also gives the company the opportunity to expand into larger markets which will open up new departments and skill necessities within the company including in the São Paulo offices in the future. Roche offered US$74 per share that is a 38 percent premium over InterMune’s closing share price last Friday. The high prices are not uncommon in the pharmaceutical sector as intense competition forces the big players to seek out new drugs from smaller and innovative companies. Despite paying a high sum, Roche, with a market value estimated at US$250 billion, stated the acquisition will not impact on dividends for this year, but will boost the revenues from 2016. The pharmaceutical industry is going through a period of intense global consolidation with major players occupying huge global market shares, including in Brazil. In this year alone, there were US$346 billion spent in mergers and acquisitions in the pharmaceutical sector, in comparison to the US$212 billion spent in the same period last year.